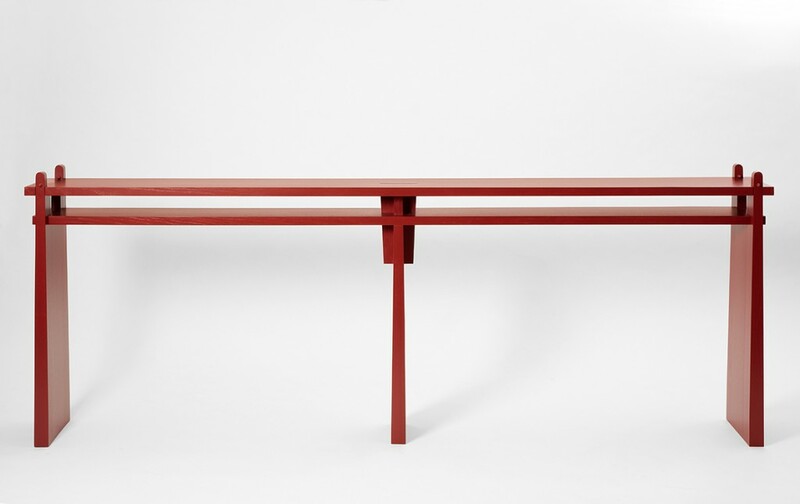 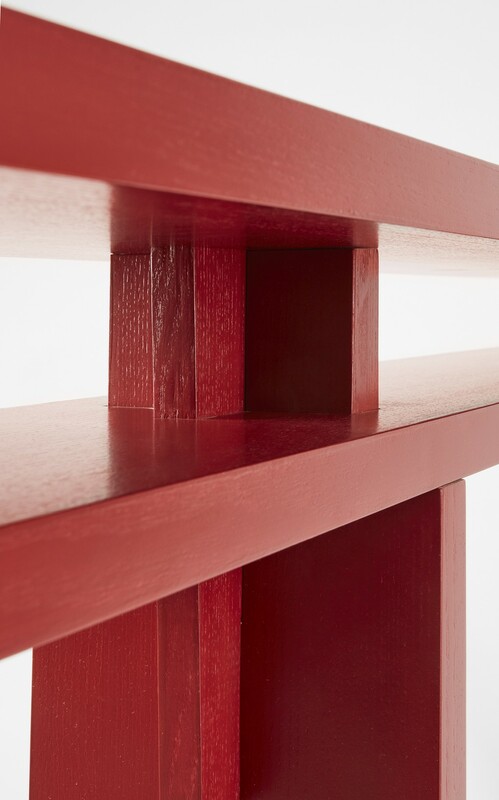 Inspired by classic Asian woodworking, this sleek table uses no nails or screws but instead is held together with the tension of keystoning and artistic joinery. 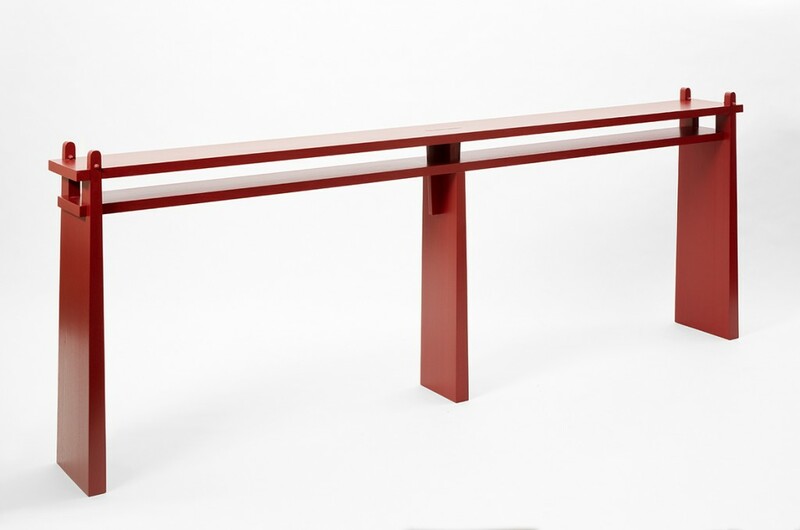 The striking lines and refined structure of this narrow table make it suitable for a long hallway or positioned behind a couch. 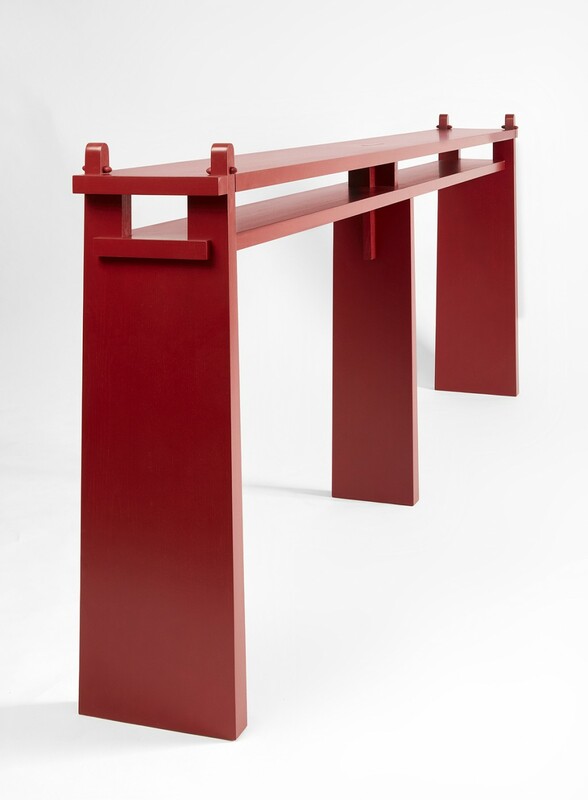 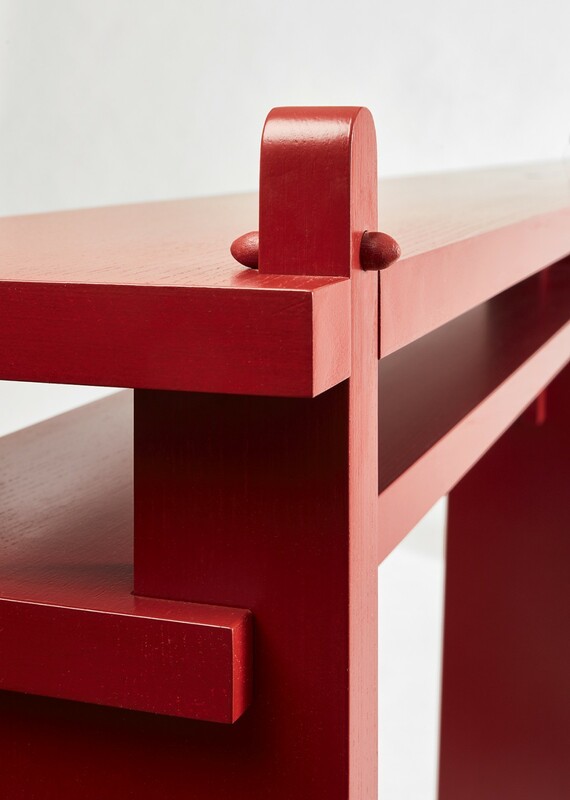 Crafted of ash timber and finished in Chinese red lacquer, it features rounded details and slanted legs with a subtly wedge-like pyramid shape, reinforcing hallmark design details found in Pöppler’s furnishings.